Recently, when Jenny and I were kayaking on Broad Creek, I photographed many of the old deadrise work boats. 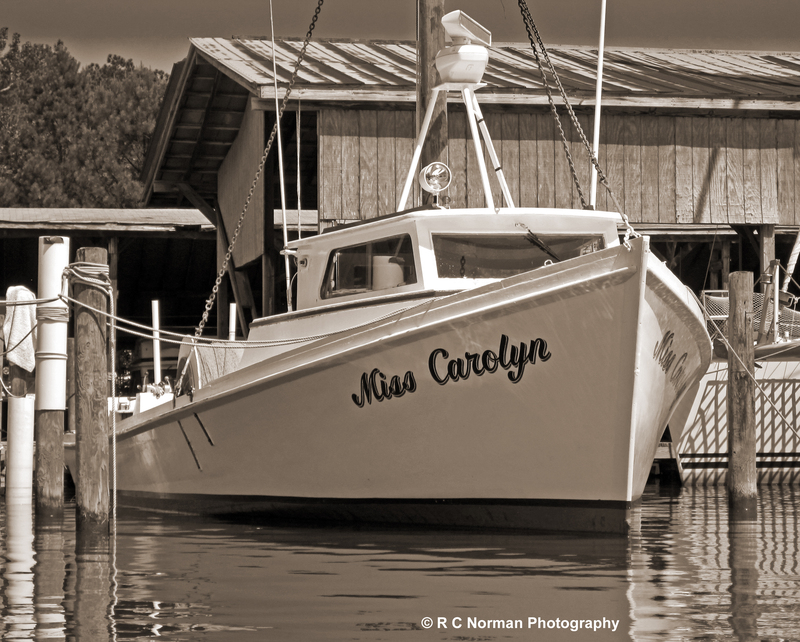 The Miss Carolyn is a beauty, and I liked the way she was sitting here with the dark sky and rusted tin roof of the boat shed adding some tonal variation to this sepia image. June 10, 2012.